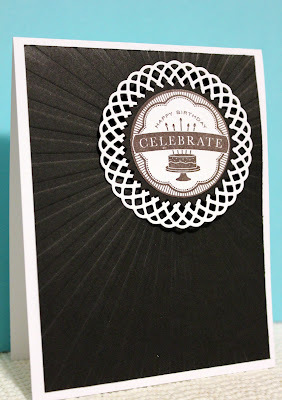 I used Papertry stamp (2012 birthday tags), die (doily details, limitless layers circle), impression plate (hello sunshine), cardstock (white and true black) and ink (smokey shadow). I had a lot of fun using that impression plate and I think I will have it out for a while. 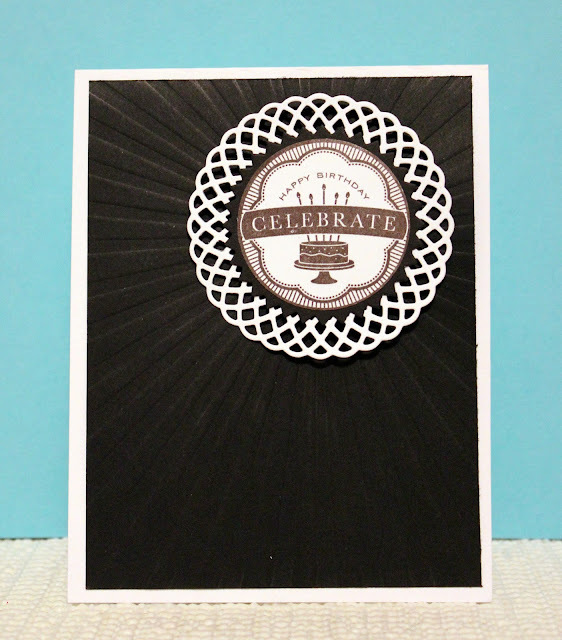 Here is a different angle of the card that shows the impression better. Black and White always seem to add class to an occasion. Very nice, Irma. what a fun birthday card, great job!!! Oooh, very striking! I love it! Great job! 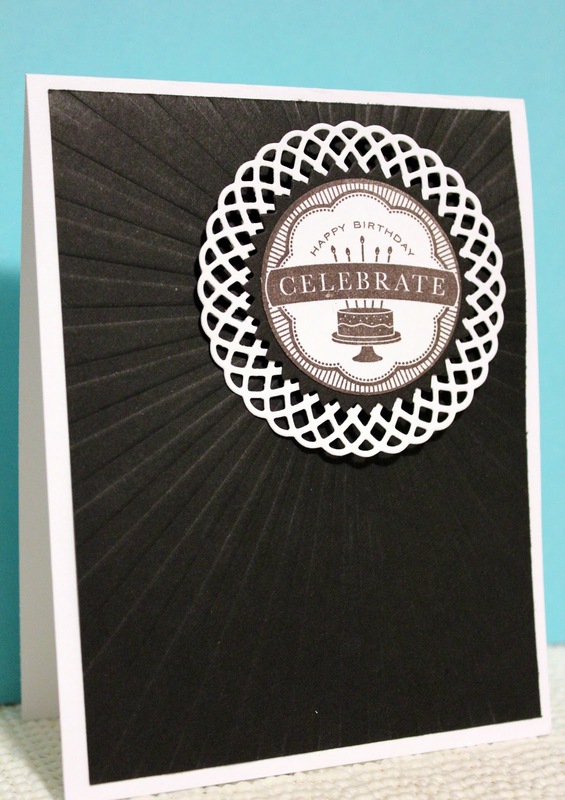 Love the embossed background and the way you fit everything together. I love this Irma, very striking.